Discussion in 'JK Handmade Knives' started by JK Knives, Oct 31, 2018. 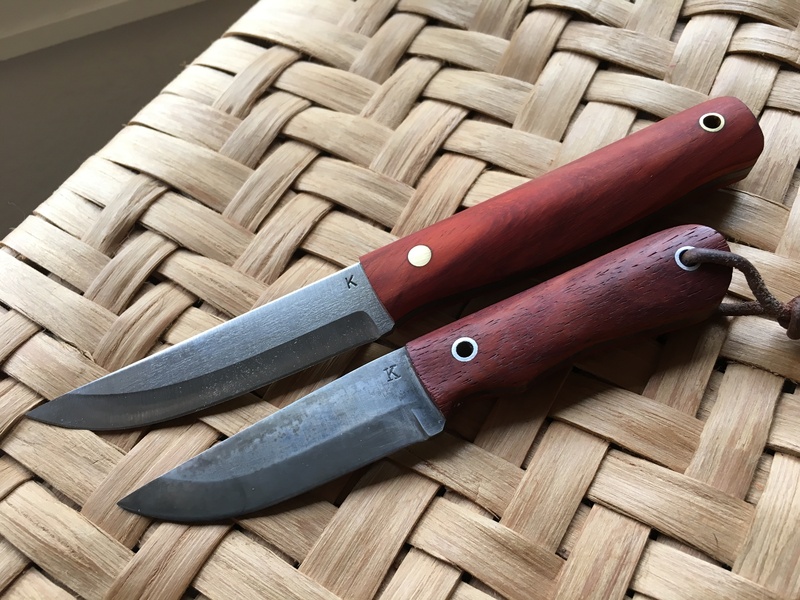 Overall length - 8 1/2"
These will go for $193 in any standard handle material, including leather pouch sheath. Nature Boy, fishiker and ty_higg like this. I don't think my bank account can handle all these designs you've been posting recently! Here’s one next to an ElementvEDC. These are available to order for February delivery. I’m thinking about making this the February Special Offer for $183 shipped in any standard handle material, including sheath. I can do longer blades.